We are so excited that Marissa Figueroa Aries has elected to join our team at Elegant Dance Studio. Marissa brings a tremendous wealth of experience and professionalism to our studio. Marissa’s professional dance credits include: “Dance Of Souls 1 & 2”, Salsa dancer for the “Israel Martinez Dance Company”, a hiphop background dancer for the rapper Reyn and a contemporary dancer in “The Dream” an off off Broadway performance choreographed by Kyra Johnson. 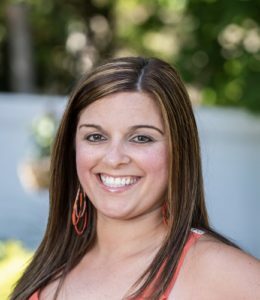 For over fifteen years Marissa was lucky enough to have worked for and traveled with a few well know National Dance Competitions including: Dance Explosion National Talent Competition, Starbound Talent Competition and Kids Artistic Revue. In 2009 Marissa and her husband successfully opened and ran On Pointe Dancewear N Apparel. A full service upscale dance boutique located in Woodbury Village NY. In 2015 she continued her love for dance and retail and founded Fullout Dancewear. A online Dance boutique specializing in hand crafted trendy apparel for all ages. Fullout Dancewear has been sold all over the US and in other parts of the country over the last three years. Marissa is very proud to have eleven brand ambassadors repping for her company and excited to continue to have Fullout grow.